Cordless power tools have out-sold corded tools for years. In fact, TraQline data show that cordless tools have outsold their corded counterparts for at least a decade. The conveniences cordless tools offer, such as not needing to find a nearby outlet while working makes sense. The benefits of cordless tools are apparent to those who use them; no need to find a power outlet, unlimited tool mobility, and not having to worry about cutting through an electrical cord. The only area in which cordless tools have traditionally fallen short is in power; corded power tools both conduct and maintain power better than cordless. The next big thing in cordless tool batteries will need to further close the gap between cordless and corded, in both power output and power retained. While lithium-ion batteries run into limits in both of these areas, this ubiquitous technology represents a leap forward from their predecessors. And the highly-publicized explosions in Samsung devices have renewed concerns about the safety of the volatile chemicals in batteries. While we will address several new technologies that are under development in an attempt to lead the next generation of batteries, one stands out as the current forerunner: the solid-state battery. These batteries provide a higher density than lithium-ion and thus give the potential for a dramatic push forward in energy conservation and delivery. While only a few applications currently use solid-state batteries, the materials needed are abundant, and mass production should only be a few years away. At that point, the technology and economics should be ripe for these batteries to help cordless power tools (as well as outdoor power equipment, cars, and anything else that uses batteries) take a significant step forward. According to Technavio, the overall market for power tool batteries is expected to grow about 8.12% by 2021. Meanwhile, Battery University estimates that lithium-ion batteries command a 37% share of all portable battery revenue worldwide. Still, the drawbacks of lithium-ion battery technology have begun to create a need for the next step forward. The liquid electrolytes inside lithium-ion batteries have limitations to how much power they can deliver to products, with experts believing they cannot develop much further. Because the liquid is less dense than a solid electrolyte package, these have less capacity than a solid-state battery would. They also provide higher environmental risks and risk exploding if they overheat. A safer, more efficient battery should serve as the next major market player. The potential for improved battery performance comes from several fronts. Corded power tools still maintain tremendous advantages for heavy-duty jobs, so improved energy delivery from new technology will be critical. Reducing environmental impact and cutting safety hazards will also help lift more modern technology to the fore. With lithium-ion batteries starting to reach their physical limits and technology advancements knocking, the door is open for newer technologies that address these concerns to gain a foothold in the market. Some solutions are emerging that may influence all battery tech in the future. One set of solutions comes not from the batteries themselves, but the charging technology. Renewable energy solutions to help charge batteries can provide an attractive option for some. One problem with these chargers was that they did not offer the fast charge that power tool users crave, but this may be changing; for example, a light-based charging technology has provided the ability to charge batteries in under two minutes, even if a light is not present. 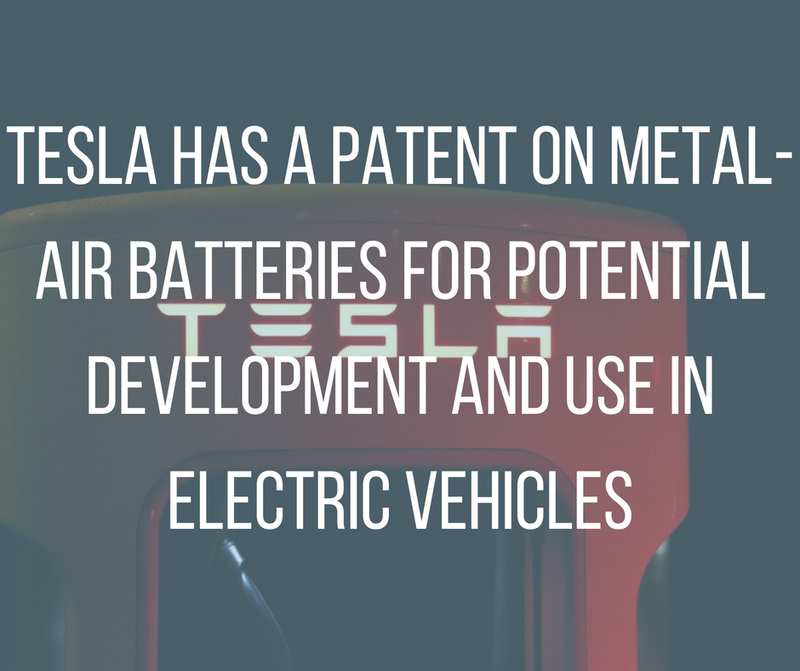 Metal-air: using oxygen from the environment and a metal anode, Tesla has a patent on these batteries for potential development and use in electric vehicles. Unfortunately, their limited life cycle and high cost present significant obstacles right now. Gold nanowire: Experiments with gold nanowire coated in magnesium have yielded impressive results, lasting forty times longer than traditional batteries. The primary limitation here is cost, as the materials make batteries with these components vastly more expensive to produce. Graphene Micro-supercapacitors: A relative newcomer on the scene, graphene is promising to be a technology with exciting possibilities. These consist of a graphene-based film with relatively inexpensive production costs, currently under development for use in storing electricity behind solar panels. The potential here for energy production and storage is exciting, but the delicate nature of the technology makes it less likely as an application to use in power tools. These are showing promise for powering electronic devices and cars, among other uses. In the context of such luxury purchases, the economics could work. Still, these and other technologies appear to be somewhat expensive and delicate, and far from ready for everyday use for power tools and other items in which consumers typically use lithium-ion batteries today. In the realm of power tools, these batteries may be a long way from making financial sense for either tool makers or consumers. Solid-state batteries appear to have some advantages that will lend themselves to earlier, more sustainable adoption. They work by replacing the lithium salts suspended in a liquid or gel compound in batteries with another metal, such as magnesium or sodium. Sodium is a cheaper product to obtain and use because it is so widely available. Further, these batteries are more stable, function at a more extensive temperature range, recharge more quickly, and store more energy than the lithium-ion batteries they would look to replace. In the world of power tools, battery efficiency comes not from minimizing energy use so much as delivering enough power to maximize performance, while maintaining the advantage of having light, portable tools. The closer a battery can get to perform in the way a power cord does, the greater its acceptance will be among users. People who use cordless power tools want the portability advantages, but do not want to sacrifice too much power for the sake of that convenience. Technologies that build around making current batteries last longer will help some, but will likely miss the mark for the core customer base of these devices. Still, cost matters, on two fronts. First, customers often find it difficult to make the switch because upgrading means investing in an entirely new platform: buying new batteries, new chargers, and in some cases even new tools. And second, even if they do decide to make that investment, the cost of battery power represents a significant portion of the overall cost of the tools. Consumers who like the tools they own won’t embrace a battery that doubles the cost of power tool ownership. They will choose to wait until mass production allows those costs to drop. A solid-state battery has the potential to push forward into the market as that rare technology that is designed to both work better and cost less than the technology it is set to replace. Mass production should not be far off; at least one startup aims to bring mass production of these batteries to the market by 2020. If successful, this will make the duration of the adoption s-curve much shorter. New technology always takes time to be adopted. As always, the market will see higher-end products equipped with the newer, more expensive technology. Over time, this will filter down to lower-priced mainstream products. Given the advantages of solid-state batteries over lithium-ion products, the future seems imminent. As solid-state batteries move into greater production, they should create the best path forward for cordless tool battery technology. It remains to be seen if costs and production of newer, more nascent technology will become more prolific.